Turn your broken microwave into a banana-ripening station instantly! 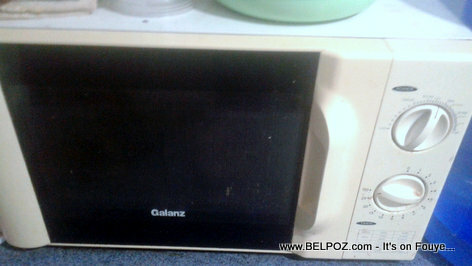 So now you know what to do with your broken microwave when in Haiti. Don't throw it away! Turn it into a banana-ripening station. It's perfect for ripening bananas, avocados, mangoes and more! Now that's a clever idea for what others consider just a broken trash!